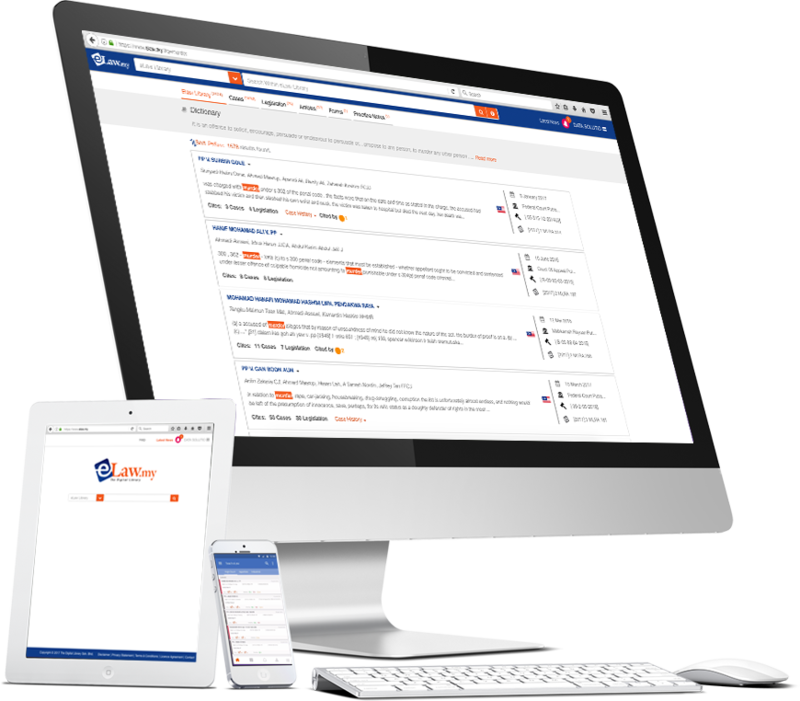 Our efficient yet user friendly search engine will help you find what you are looking for. 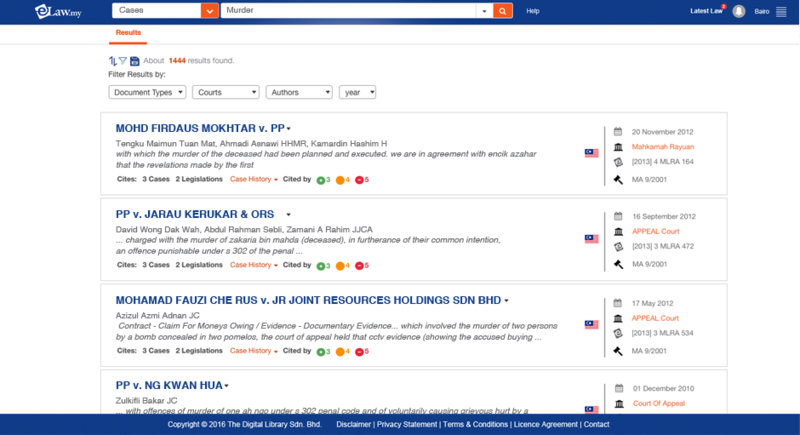 eLaw has more than 80,000 judgments from Federal/Supreme Court, Court of Appeal, High Court, Industrial Court and Syariah Court, dating back to the 1900s. You can cross-reference & print updated Federal and State Legislation including municipal by-laws and view amendments in a timeline format. Main legislation are also annotated with explanations,cross-reference, and cases. 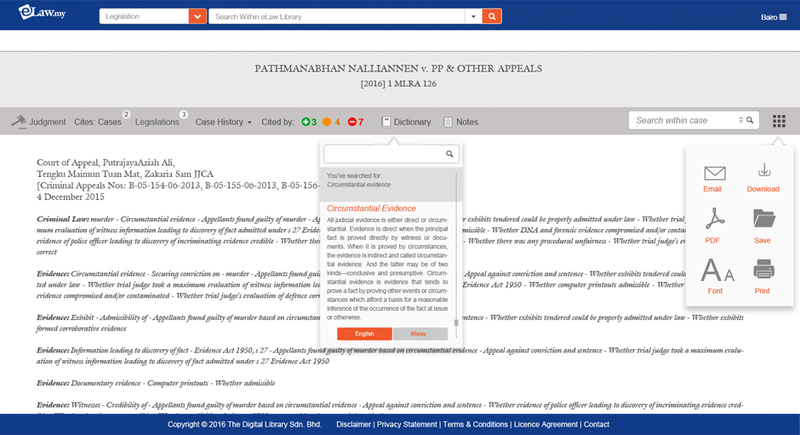 You can extract judgments based on the citations of the various local legal journals. Eu sit soluta antiopam, postea sanctus in an vis. Pro primis insolens recteque ne, nostrum molestie splendide sed et elitr. The relationships between referred cases can be viewed via a precedent map diagram or a list - eg, considered, followed, overruled, distinguished or referred. 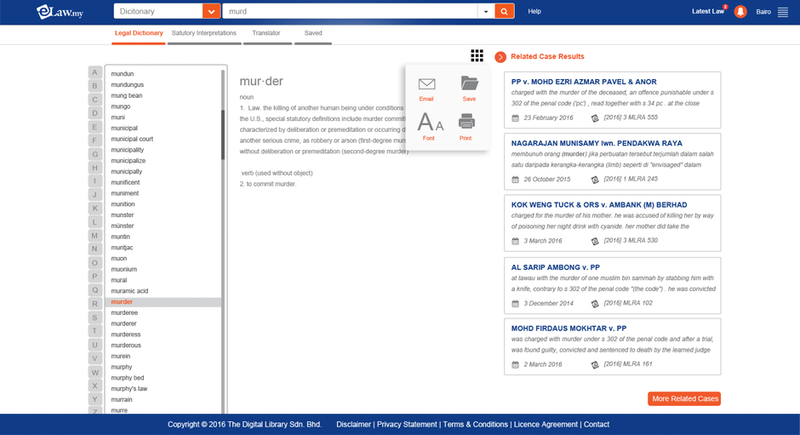 The Digital Library provides online platforms where users can access and drill-down digitised content into useful information for their professional needs. 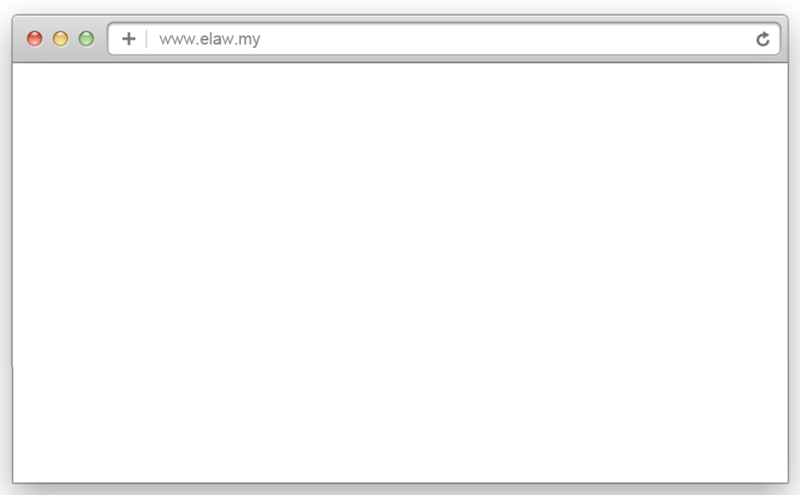 eLaw.my is Malaysia's largest database of court judgments and legislation, streamlined in a powerful, yet user-friendly engine for busy legal professionals like yourself. 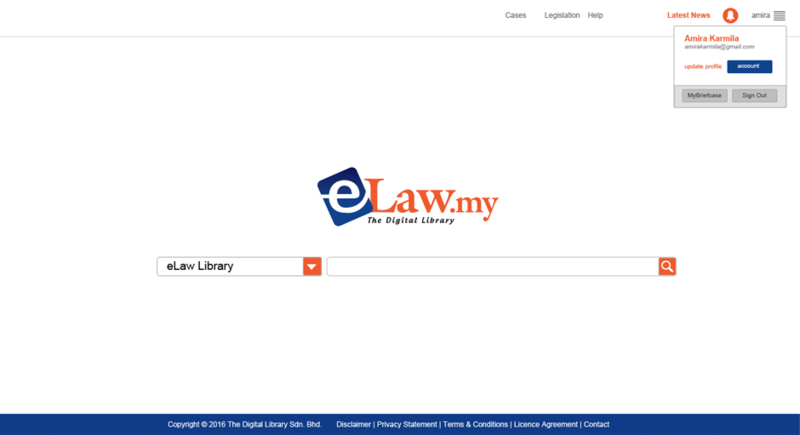 eLaw's digital library houses more than 80,000 judgments from the Industrial Court, High Court, Court of Appeal and Federal/Supreme Court of Malaysia, dating all the way back from the 1900s. Updated legislation of Malaysia including amending acts, PU(A)s, and PU(B)s, displayed in an easy to access and print format. 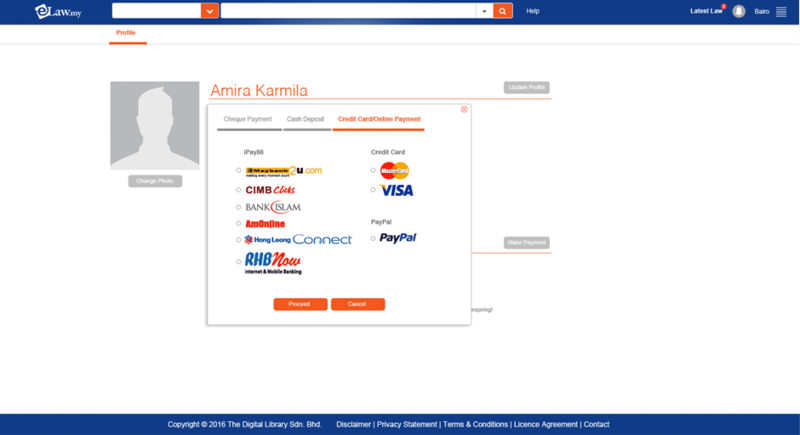 eLaw Package One year Subscription with eLaw. Please Use Your Mobile Number, your account will be activated automatically.